Back to the Hit's holographics today, and a post with few words, so I can get on with doing some frankening this evening. Atena, or the English translation Athena, is (according to Wikipedia) the goddess of wisdom, courage, inspiration, civilization, warfare, strength, strategy, female arts, crafts, justice, and skill. 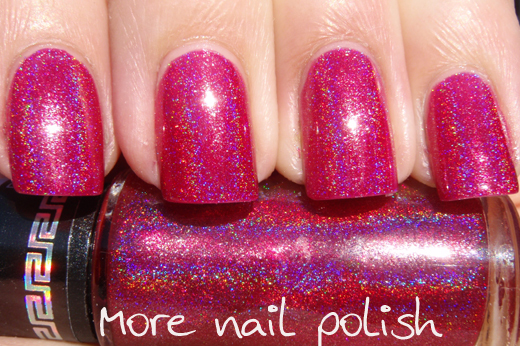 I like that for strong, femaile god they chose this strong bright pink holo. In the bottle this is a rich magenta, but on the nail it seems more pink. Perfect application again. Good strong holo again. Love it. AGAIN! 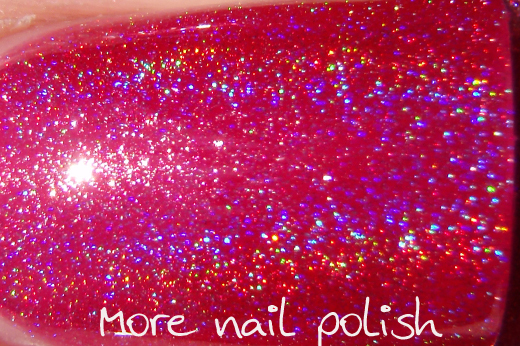 I did not do a comparison with any other polishes, because I don't have any other holos in my collection that are even close to this colour. None of my Ozotics / Chemistry's / Artforms. YAY to no dupes! Is there an OPI DS that is close to this?? i think ds exclusive is pretty close, but it has no holography, just a shine, like a holographic glitter, but with a smooth texture.And atena has a strong prism. Kelly used atena as a top coat with ds exclusive and it was a beautifull combination! 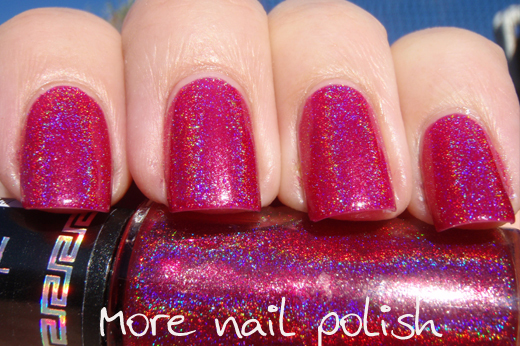 Closest I have among my holo-stash is China Glaze QT but they are not dupes. Color is close but QT is more linear. 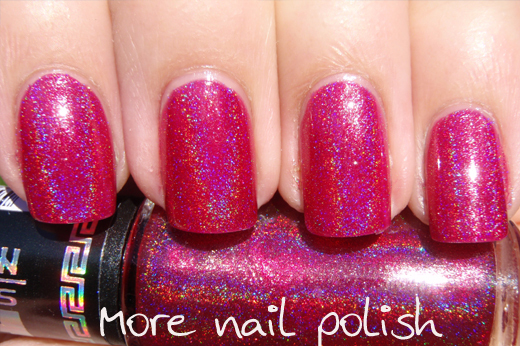 I think maybe Sally Hansen Nail Prism Ruby Diamond could be a bit like Atena, depending on which batch. Atena is truly stunning and I too love my Hits passionately! 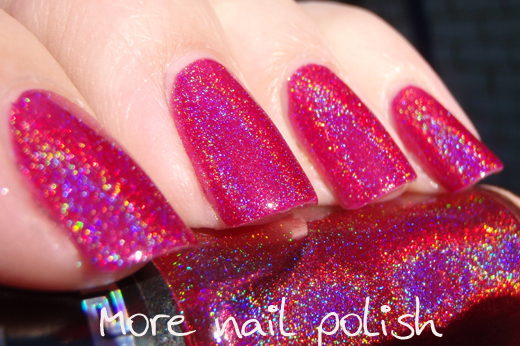 There is nothing like a good holo to cheer you up!